Weekly bookings only, housekeeping fee required, balance to be paid six weeks prior to holiday. Deluxe top of the range static extra wide holiday home, luxurious to extreme everything you need and more, guaranteed a wonderful holiday. Locally there is riding stables, football club, golf club plus all the amenities that Haven offer you. The main bedroom is ensuite with walk in wardrobe very luxurious the second bedroom has full size single beds with its own bathroom just across the hallway with all amenities wardrobes cupboards overhead lights/plugs etc. The lounge has a pullout double sofa bed and kitchen has all electrical white goods including dishwasher,washing machine large fridge freezer etc. 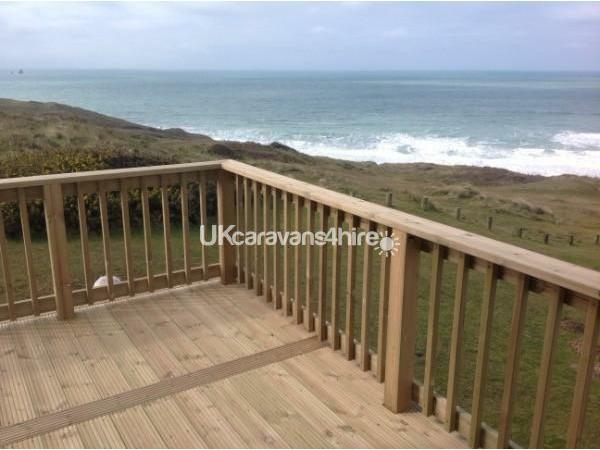 Lovely sea views from kitchen window all round to end of balcony at front. There is a private parking space at end of balcony which is gated and secure for little ones and has good quality wooden furniture on balcony for yr pleasure. All in all a lovely home for your special holiday. Please note any cancellations within the 6weeks prior to holiday date will not be refunded. 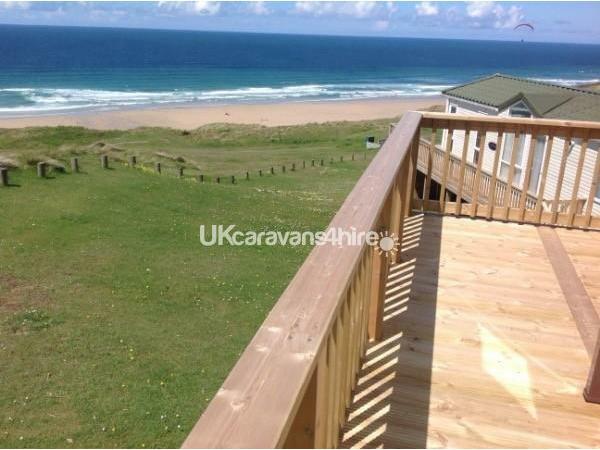 Additional Info: Everything you'd expect on a haven site, nearby is golf, horse riding, Perranporth beautiful holiday resort lovely shops and good food. Nearby is Newquay etc. Wow, what can I say........this caravan is the best we’ve stayed in. It has everything you need for a fantastic holiday. The view right across perranporth is breathtaking no matter what time of day. 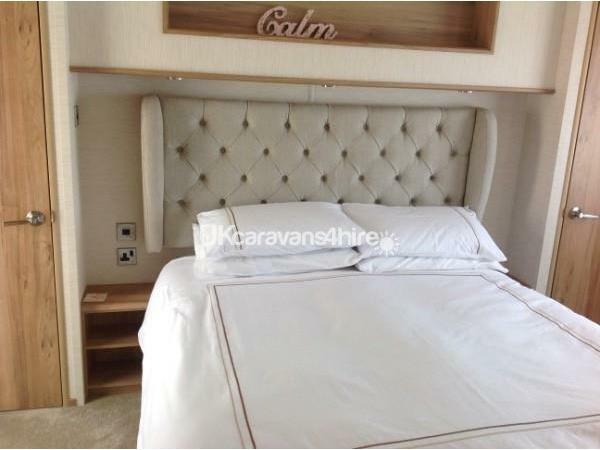 The fact that it’s 14ft wide means that the two beds in the second bedroom are full size single beds rather than cabin beds you often find in caravans. The master bedroom is has a luxurious feel with en suite shower room and walk in wardrobe. 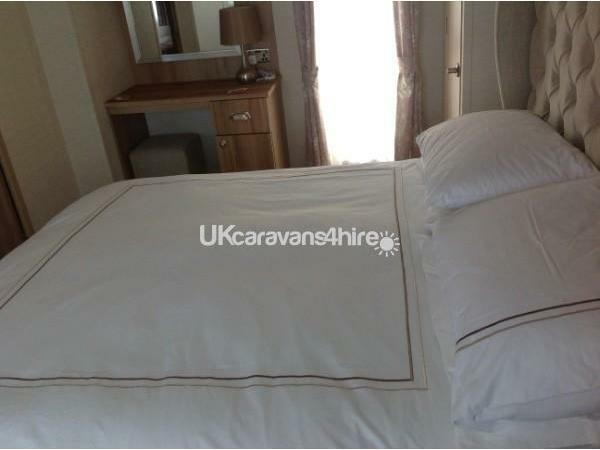 Beautiful bed linen is provided and the beds are really comfortable. There’s a dishwasher and washing machine too in the kitchen. The lounge is bright and comfortable with French doors opening out onto decking with wooden furniture. 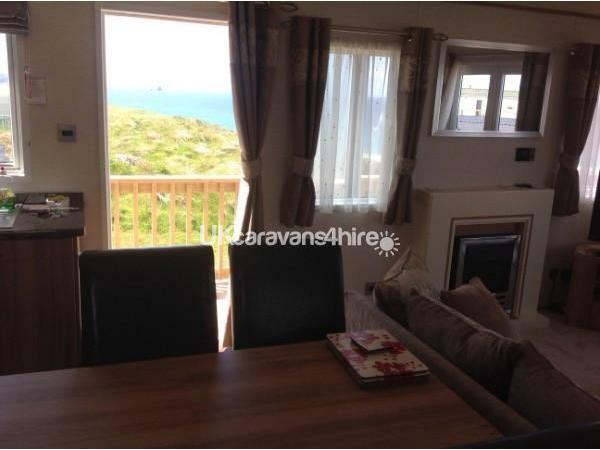 This caravan is so centrally located in Cornwall and an ideal base for exploring the area. It’s location on the Haven site is perfect, it’s so quiet and being the end spot makes it really private too. It’s only a couple of minutes walk from the complex and all the amenities. You won’t find a more approachable lady than Linda, the communication since we first inquired about her caravan has been excellent and we’ll definitely return in the future. Can’t wait to be back. Just returned from an amazing 2 week stay in this lovely caravan. 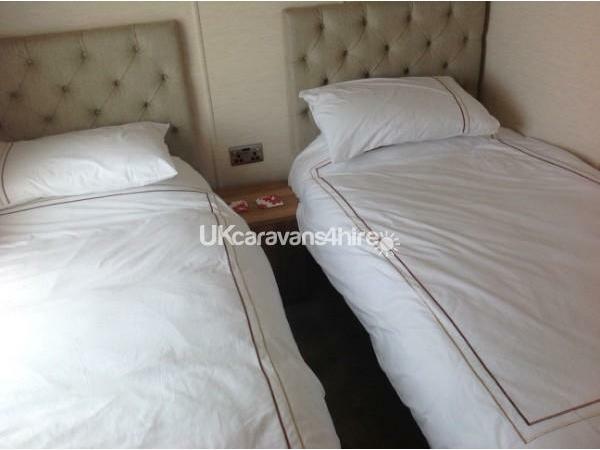 The caravan was really spacious, 2 bathrooms, big bedrooms, the beds were really comfy. 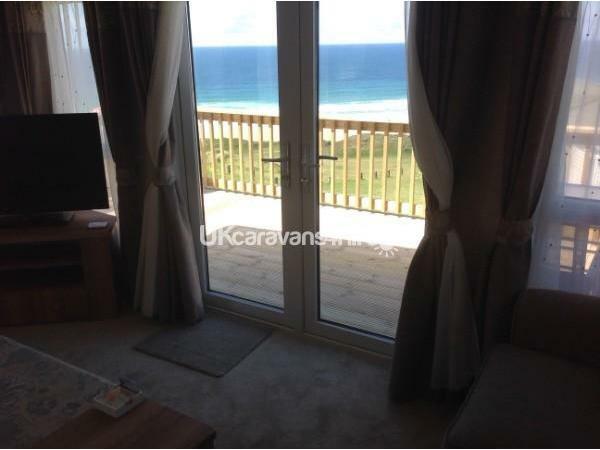 Great having a washing machine and dishwasher too.The best part though was the view it really was something else, 180 degree views overlooking Perranporth beach. No photo will ever do it justice. We spent many evenings out on the balcony watching the stunning sunsets. The location is nestled in the sand dunes, it was really quiet and just a 5 min walk to the complex. I loved being able to hear the sea at night whilst in bed. 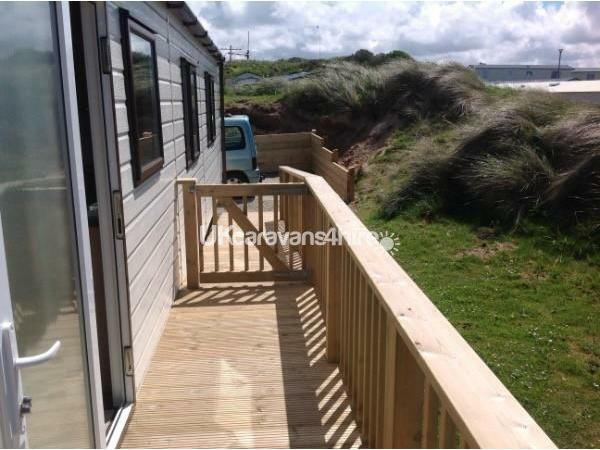 Would not hesitate to recommend this caravan and the owners were friendly and very easy to deal with replying quickly to any questions we had. 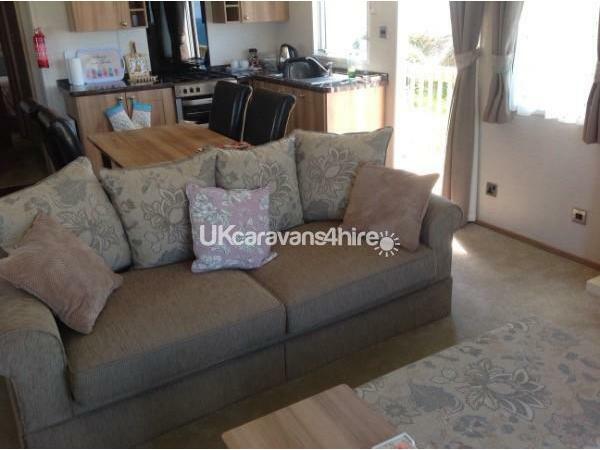 We had a wonderful holiday in this caravan last year, The caravan is so luxurious & comfortable by far the best we have holidayed in plenty of room spotlessly clean, Fully equipped. Linda & Bob are such a wonderful caring couple who will do anything to accommodate your needs and requirements. 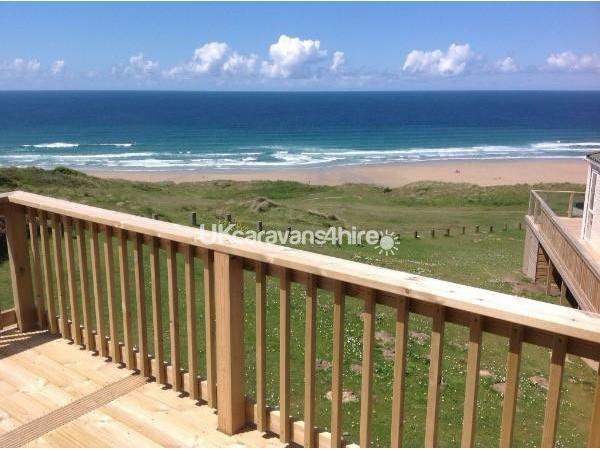 We enjoyed our stay so much we are returning this September to enjoy the spectacular views from the decking and enjoy the comfort. 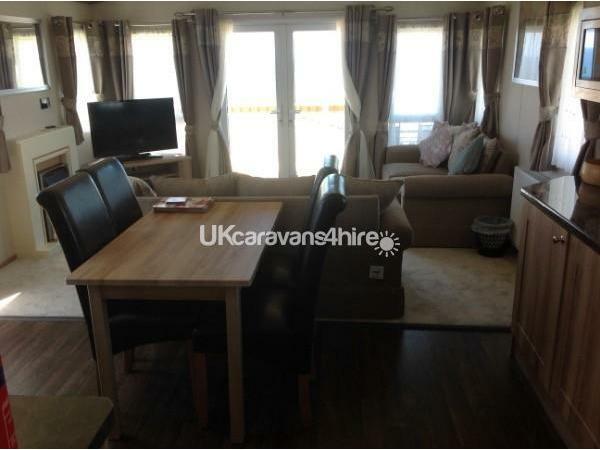 This caravan is a home from home ideal for couples, Family. Loved the 2 bathrooms & large bedroom so lovely to come back to after a long day out and have the comfort of the sofas and lovely kitchen to prepare your food with plenty of cupboard space. Looking forward to our return thank you Linda & Bob.